I found this 6 Foot LSU officially licensed Christmas tree on Amazon the other day. There are only 3 left in stock, which leads me to believe that fans are buying up this yellow and purple tree. I am on the fence about a college themed Christmas tree. As big of a gator fan that I am, I think an orange and blue tree would not give off the type of holiday spirit I look forward to every year. I will stick with the traditional green tree and liven it up with gator ornaments. What about you guys? 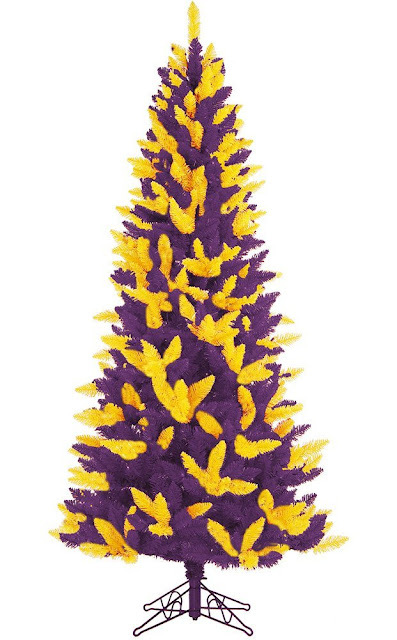 Would you buy a Christmas tree in your school colors?